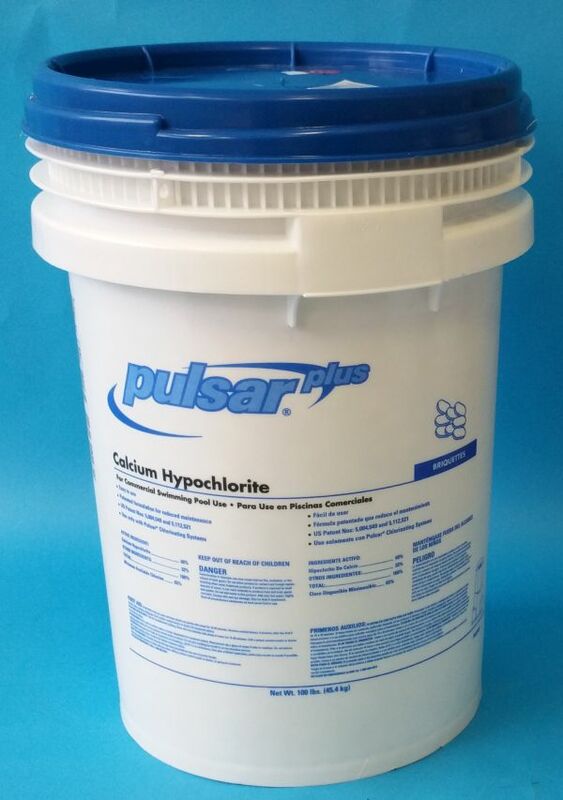 Pulsar Chlorine Briquettes | Halogen Supply Co.
Pulsar Briquettes are a specially blended form of calcium hypochlorite (65% available chlorine). 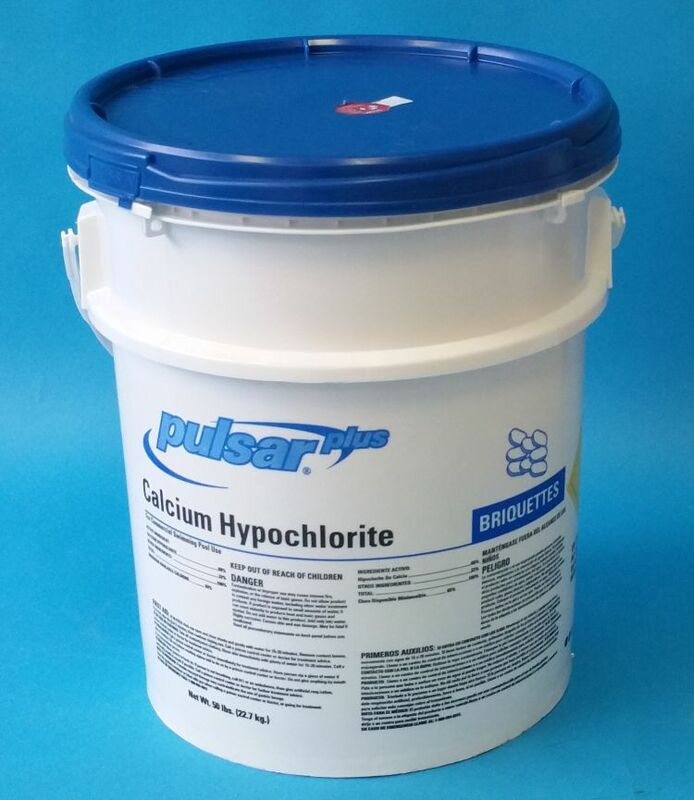 The briquettes contain an additive that reduces the scale usally associated with calcium hypochlorite solutions. 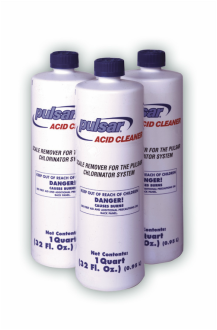 These patented briquettes have a uniform dissolution rate, and provide steady, uniform chlorination of pool water.Please note: Halogen Supply Company can only sell Pulsar products in our Sales Territories of: Central Illinois, Northern Illinois, & Parts of Indiana & Wisconsin.